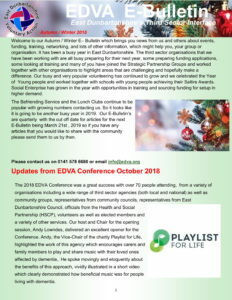 Click below for the March E-Bulletin from OPAL partner: East Dunbartonshire Voluntary Action. 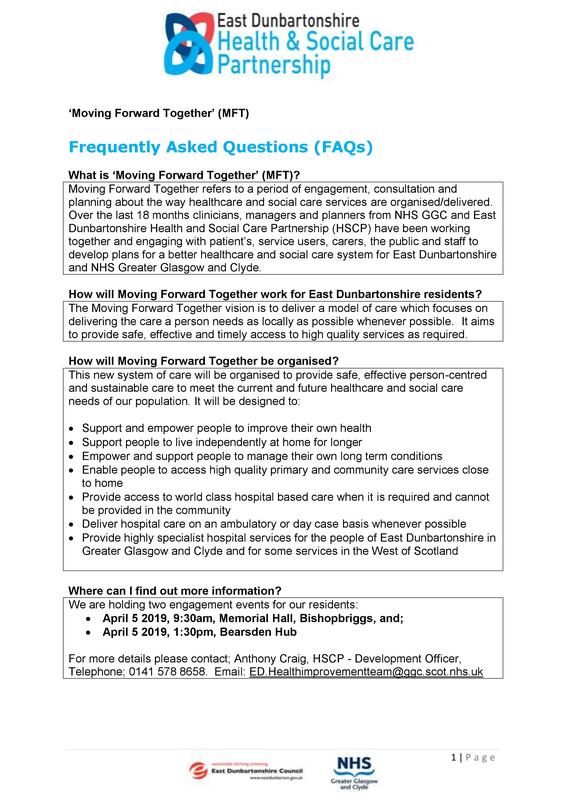 East Dunbartonshire Health and Social Care Partnership (HSCP), in partnership with NHS Greater Glasgow & Clyde, is holding two local community engagement events called ‘Moving Forward Together’ (MFT). 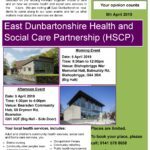 These events aim to provide local residents with information about the future of health and social care services and to participate in the long term planning and development of these services within and across East Dunbartonshire and NHS Greater Glasgow and Clyde. 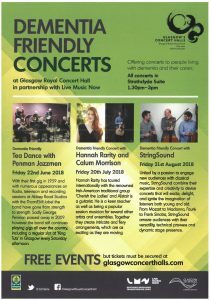 Please see the event flyer and FAQs flyer at the bottom of the page. 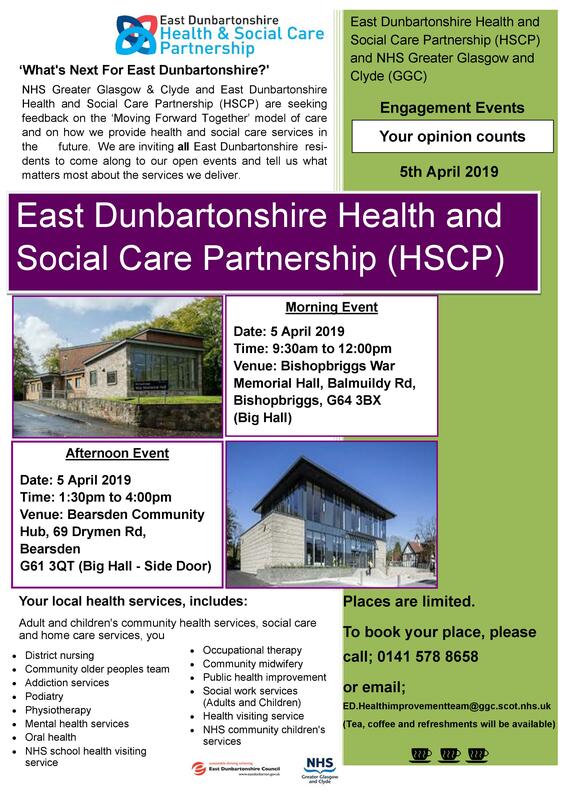 All East Dunbartonshire residents are invited to come along and tell discuss what matters most to them about the services ED HSCP deliver. 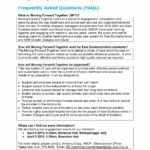 NHS National Services Scotland are looking for Patient Representatives to join their Bowel Screening Governance Reference Group. 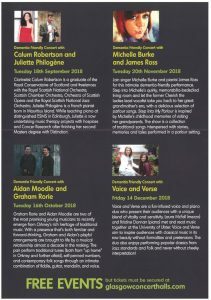 See this document for further information. Please note any individual who is interested should be eligible for bowel screening (aged 50-74 and resident in Scotland) and that this group meets three times a year in Edinburgh. 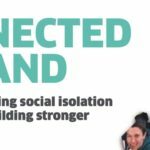 The Scottish Government has recently published their attached strategy on tackling social isolation and loneliness. 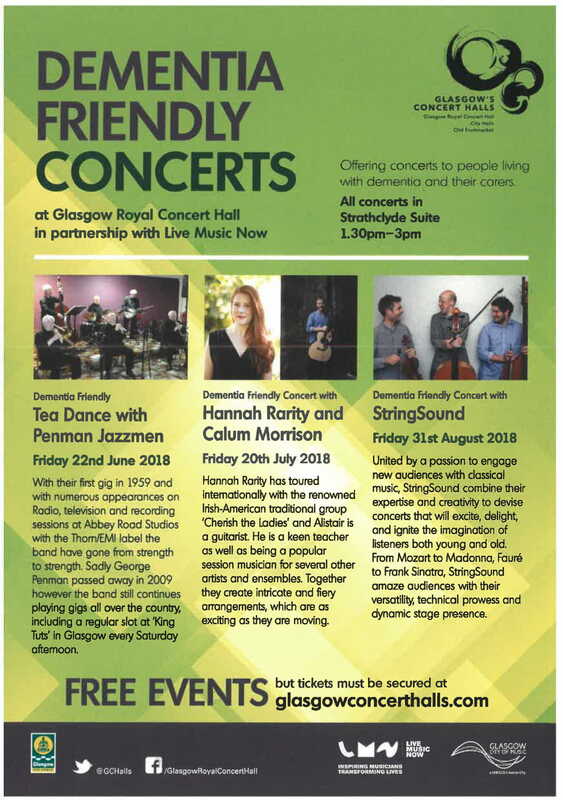 A Scotland where individuals and communities are more connected, and everyone has the opportunity to develop meaningful relationships regardless of age, stage, circumstances or identity. Available at the link below. 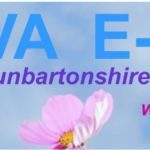 Action on Hearing Loss will be delivering a monthly drop-in clinic for hearing-aid maintenance at Deaf Blind Scotland in Kirkintilloch. 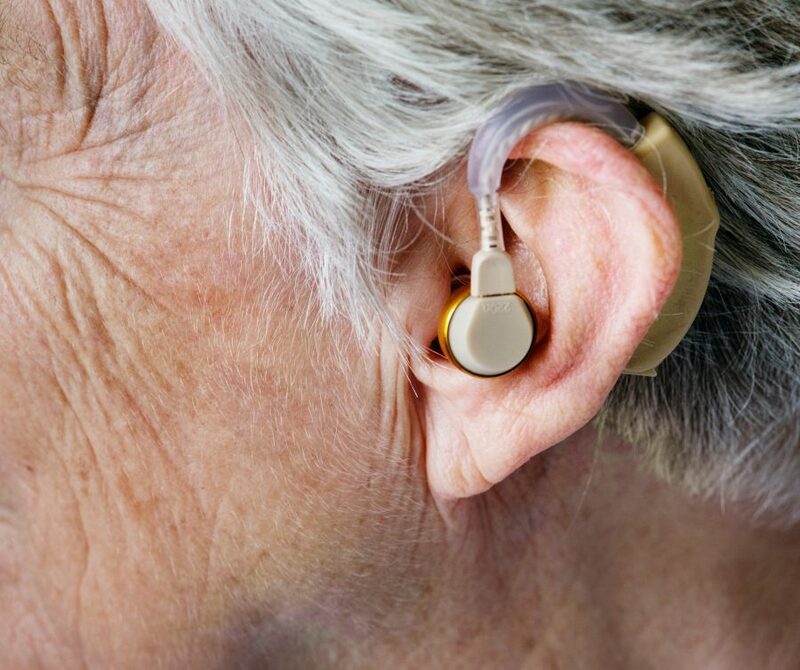 The clinics will offer advice on how to look after hearing aids and how to change the batteries and tubing (both should be changed every 5-6 months). They will also demonstrate how to insert ear moulds correctly and will signpost to other useful organisations. 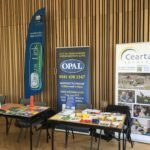 Monday 11th February from 11.30am – 2pm Board Room. 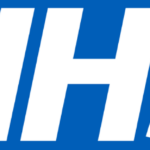 and the other for health and social care professionals. 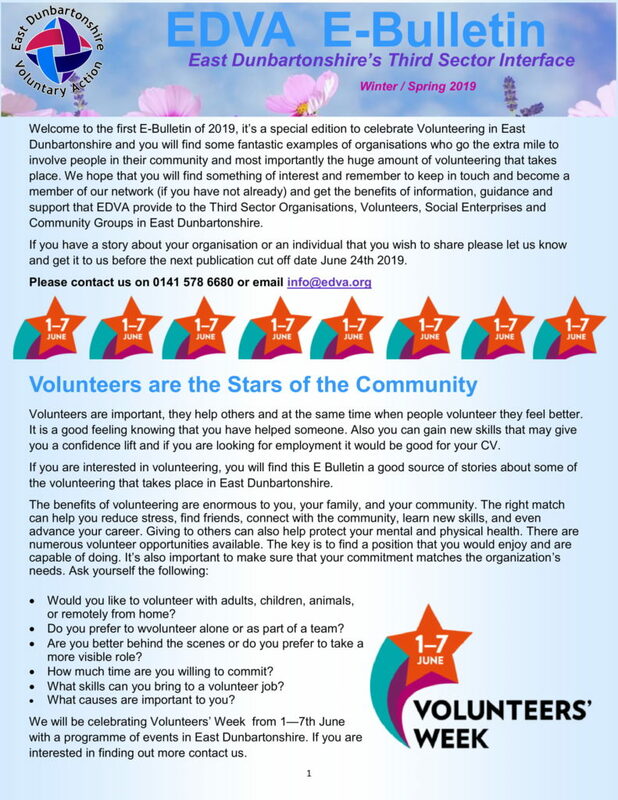 Both surveys can be accessed online here and are live until 31st August. 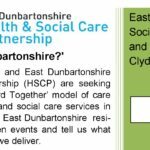 The Health and Social Care Professionals survey is different and is seeking the views and awareness of CHSS, to inform the development of their future services, and particularly the pathways into those.